You will understandably have a concern about privacy. Your privacy is respected and your personal information is treated with the highest standards of safety, security and confidentiality. To better protect your privacy, this notice explains online information practices and the choices you can make about the way your information is collected and used on this website. 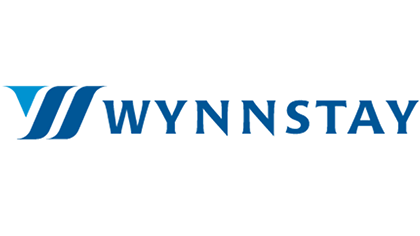 If you have questions regarding this Policy, you may direct them to subscriptions@wynnstay.co.uk. In addition to the information collected as described above, technology is used to collect anonymous information about the use of this website. These technologies may include though are not limited to, Google Analytics such as ‘Google Analytics Demographics and Interest Reporting’. These and other technologies may be used to track which pages of this website visitors view as well as to collate non-personal demographic information about our visitors. Technology may also be used to determine which web browsers visitors use. This technology does not identify you personally, it simply enables the compilation of statistics about website visitors and their use of this website. Third parties are engaged to perform services or functions in order to manage and improve this website, merchandising, marketing and promotional efforts, communications or other services. Those third parties include authorized contractors, consultants, legal advisors and other companies (collectively, “agents”). They only have access to personal information needed to perform their functions, and may not share any personal information with others or use it for any other purposes than that which is contractually agreed. Where appropriate, before disclosing Personal Data to a third party, that third party is contractually required to take adequate precautions to protect that data and maintain confidentiality. Information about you may also be received from other sources (such as demographic information and purchase history) and it may be added to records about you in order to make marketing efforts more efficient. If you wish to access or correct your Personal Data, please write to us at CRM Manager, Wynnstay Group PLC, Eagle House, Llansantffraid, Powys, SY22 6AQ subscriptions@wynnstay.co.uk. You will not be charged for a correction request, however, for all other requests, you may be charged a fee of £10.00 to cover costs. Requests to delete Personal Data are subject to any applicable legal and ethical reporting or document retention obligations.